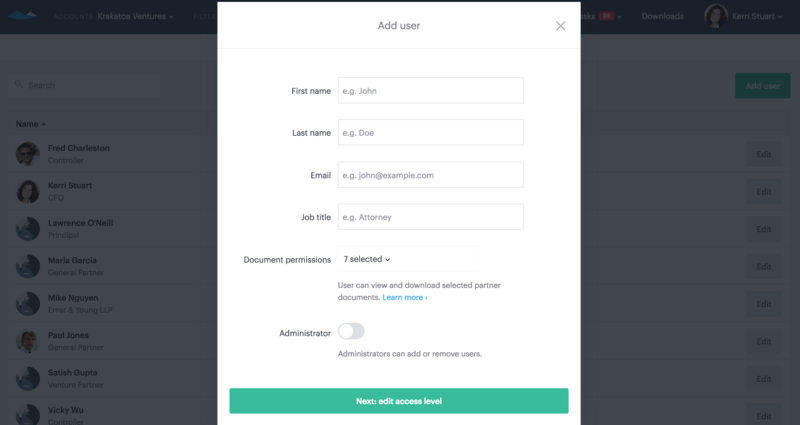 How do I add users to the investment firm account? 1. Navigate to the 'People' page of the investment firm. 3. Input details for the user that should be added to the investment firm. The new user will be sent an invitation to join via the email address provided here. 4. 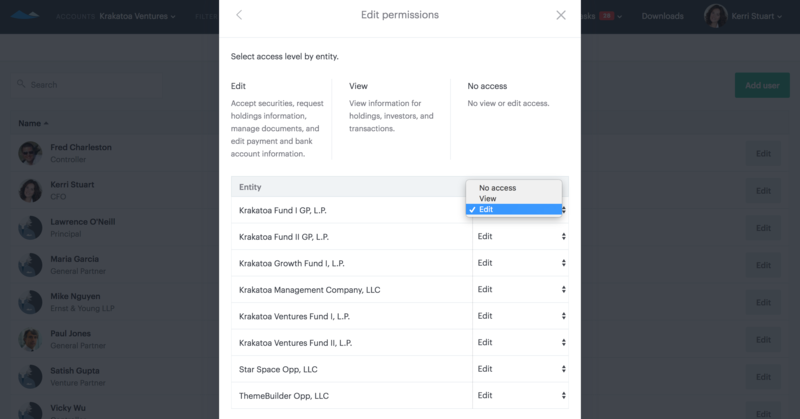 Designate how much access the new user should have for each entity in the investment firm. 5. This information can be edited after inviting users to the investment firm by selection the 'Edit' button on the 'People' page.